Friendly People of the Automotive Industry! 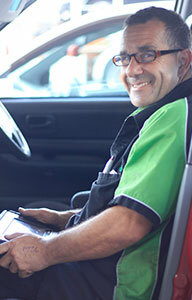 Locally NZ owned and operated since 1990, Affordable Auto Services excels in friendly service and quality repair. We are committed to serving you, our customer, with professional service at a reasonable cost. Our technicians and service consultants are MTA certified and have a combined 100 years of experience. Mike is the owner of Affordable Auto Services. He bought the business from Don Boleyn and has had it for over 7 years now. 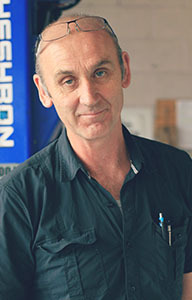 Mike has worked in the auto industry around the world and had a business in the UK. Mike wants all his customers to have an enjoyable experience. Karl has been working on cars all his life since he was a young fella’. His passion is making Nissan's go faster. He is particularly good with engine mods. 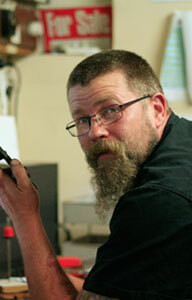 Brad our Service Advisor has had over 30 years in the auto industry. 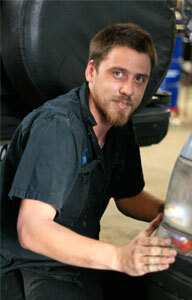 Brad was dealership trained at Morris Andrew Motors and at Dallas motors he was team foreman. Brad is the main man for diagnostics and estimates. 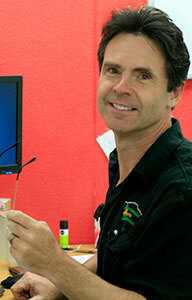 Adam has been in the Auto Industry for over 20 years. He is particularly good with ‘old school’ vehicles. He is ‘Fast and Friendly’. Troy is currently doing an apprenticeship. He loves ‘boy racer’ cars and spends all his spare time doing up his Toyota Levin. He is particularly good at sweeping the floor and learning something new every day. 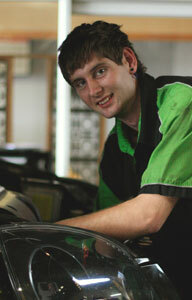 Bruce is one of our WOF technicians. Bruce has been doing WOF tests for many years. Before that he had his own business specialising in English cars. Bruce does the WOF’s on the half hour and is fast and thorough. Provide the highest quality repair at a fair price. Treat your vehicle as if it were our own. Accurately recommend repairs and scheduled maintenance for your vehicle's needs. Install only quality replacement parts. Notify you of completion times and estimate amounts to your satisfaction. To become known by our customers and the community, as a reputable business delivering Quality, Consistency and Reliable products and service to our valued customers. Affordable Auto Services is a leading automotive repair and tyre sales company driven by a team of committed, positive and successful people who are always striving to be balanced, integrated and honest, providing high quality vehicle services to our customers. We will treat our customer with integrity and respect, first considering our customer’s needs and requirements then fulfilling those requirements with the best materials and workmanship possible. We will educate our customers on the features, benefits and value of our service and products rather than sell on price. We will seek to build and maintain lasting relationships with our customers so that we can best serve their transportation requirements on an ongoing basis. Repair the problem and get you back on the road as quickly as possible. We will warranty our automotive repairs for one year or 20,000kms on workmanship and defective parts. Used parts or parts not purchased from Affordable Auto Services are not covered under our warranty. Affordable Auto Services will warranty only the defective parts or labour and is not liable for incidental damages beyond the defective part of labour. All warranty repairs will be made at Affordable Auto Services. Affordable Auto Services is a member of the MTA, so you can trust all the work done and parts supplied is covered to MTA standards and terms.